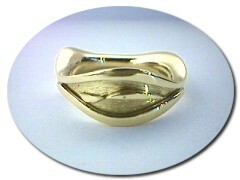 Scottish rings designed and handmade in gold by David Milne. Every ring in the Scottish Gold Collection is hand-crafted by Scottish master goldsmith David Milne in his design studio in the North East of Scotland. Every one of David's beautiful designs are unique, and are made to order for each customer. David predominantly works in 18ct gold and handmakes every one of his Scottish rings on commission using traditional jewellery making skills developed and honed over the course of almost fifty years. Phone David on 01330 811882 (UK) or 44 1330 811882 (international) to talk to him about designing a truly unique ring for you. Made for a Scottish Goldpanner's wife who watched adders while her husband panned for Gold. 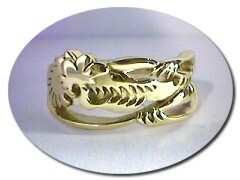 This ring features ivy leaves made in yellow 18 ct Gold & borders made in red 18 ct Gold. 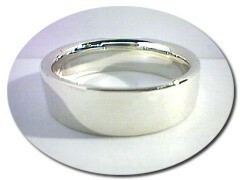 Produced in 18 ct Gold as a plain signet ring suitable for engraving. 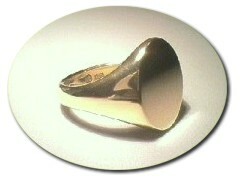 18 ct Gold ring made for the date 9/9/99 and designed with a water theme. 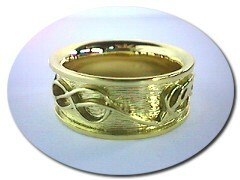 Made in 18 ct Gold and based on the mythical dragon 'The Worm of Ouraborous'. 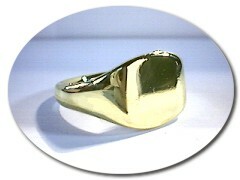 Signet Ring made with a cushion fit in 18 ct Gold. 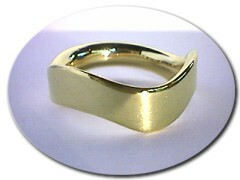 A wedding ring produced in 18 ct Gold. 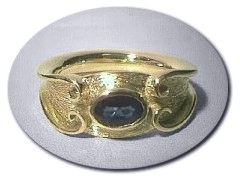 A ring made by hand in 18 ct Scottish Gold based on a bird design in the Book of Tr�ves. 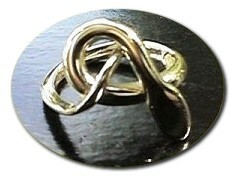 A handmade ladies 14 ct White Gold ring. 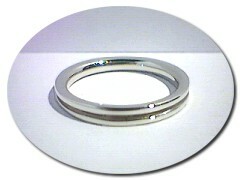 A handmade gents 14 ct White Gold ring. 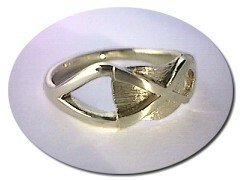 A ring inspired by a fish painted by the artist Paul Klee and handmade in 18 ct Gold. 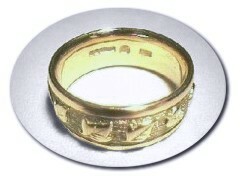 An 18 ct Gold ring featuring a Scottish Saltire design. 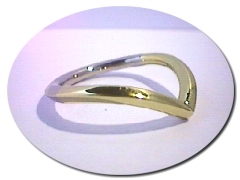 An 18 ct Gold and Platinum ring with a wishbone design.